When you sail to more ports than the big guys, you deliver just that—more. From the sugar sand beaches of Jamaica to the exciting shores of Cuba, Azamara Club Cruises® brings you to more local hotspots, more hidden gems, more immersive cultures, and more unparalleled destinations. Sail the ocean blue with our crew and experience what it truly means to be on island time. Follow in the footsteps of intrepid explorers like Columbus, and discover what lies beyond the postcard-perfect views of palm-lined beaches. 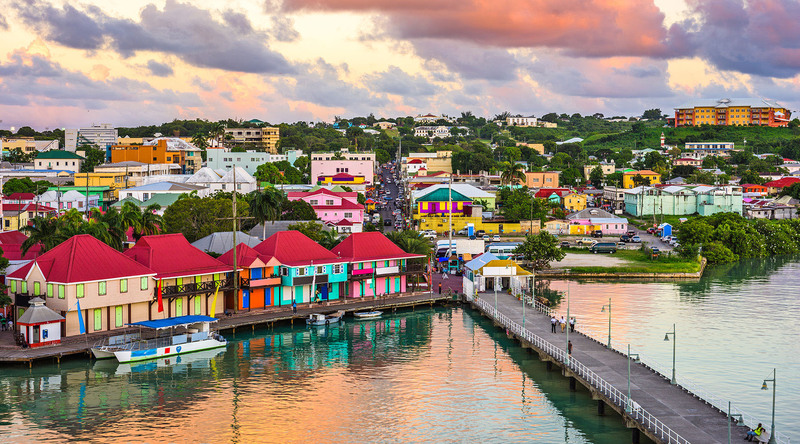 Discover the culture, history, and beauty of this chain of islands where East meets West on a plate of Jerk Chicken, and Old World ports inspire New World adventures. Cuba, Dominican Republic, Grand Cayman, Haiti, and Puerto Rico. Aruba, Bonaire, British Virgin Islands, Curacao, St. Barts, St. Kitts, St. Lucia, St. Maarten and U.S. Virgin Islands. Journey to Stingray City Sandbar where you’ll enjoy world-class snorkeling and interact with stingrays, traveling aboard a state-of-the-art vessel with a special platform staircase that descends into the water. Spend a sun-soaked day enjoying the beachfront amenities and island cocktails of Grand Cayman’s historic White House, a colonial mansion set on the Caribbean. Explore the undersea world surrounding Grand Cayman aboard a glass-bottom boat before discovering the landmarks and attractions ashore on a panoramic island drive.